Click on photo above for a musical selection. Welcome to the Web home of the Inland Children's Chorus! 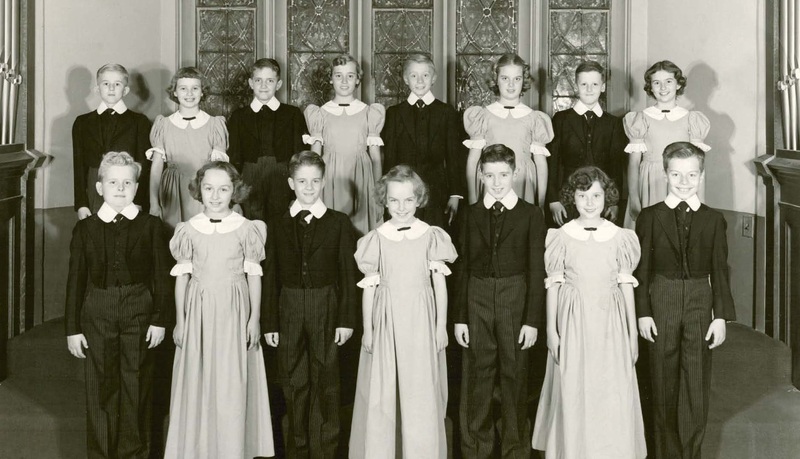 This website is dedicated to preserving and making widely available the history and music of the Inland Children's Chorus, which was an original and historically unique contribution by American industry to young people, the community, and the performing arts. View a one-minute video profile of the Chorus history from the Dayton Daily News developed by journalist Lisa Powell of the Cox Media Group. Listen to Inland General Manager John D. O'Brien (six-minute audio) as he suggests why a corporation might value tradition and the performing arts. Mr. O'Brien's comments were given at the 25th anniversary concert following one of the area's most damaging ice storms. Learn the history of Inland: see GM Heritage Center posting and Inland 50th anniversary booklet. Special Collections and Archives, located in the Wright State University Libraries in Dayton, Ohio, works with this website to collect and to preserve materials related to the Inland Children's Chorus (link to MS-432). See photos from the meeting at Wright State to launch the Inland Children's Chorus Collection on the about us page. Help complete our history by sharing your comments or memories on the forum page and by contributing memorabilia for the website and Special Collections. To help maintain and preserve this website, consider a gift to the InlandChorus.com Trust.